All our professionals at Abington Oral & Maxillofacial Surgery maintain the highest levels of accreditation and pursue ongoing education to stay abreast of the latest trends in oral surgery. Dr. David J. Guba, D.M.D. Dr. David J. Guba completed his undergraduate studies at Ursinus College, Collegeville, Pennsylvania in 1987 with a B.S. degree in Biology. Dr. Guba went on to the Universily of Pittsburgh were he received his D.M.D. Degree and graduated with honors, and was inducted into the Omicron Kappa Upsilon Honorary Society. Dr. Guba completed a two-year general practice residency at Albert Einstein Medical Center, in Philadelphia. Afterwards, Dr. Guba continued his training at Nassau County Medical Center, completing a four-year program in oral and maxillofacial surgery, in Long Island, New York. Dr. Guba became a board certified oral and maxillofacial surgeon in 1999. He maintains his Diplomate status with the American Board of Oral and Maxillofacial Surgeons. Also Dr. Guba is a Fellow of the American College of Oral and Maxillofocial Surgeons. Dr. Guba maintains affiliations with local, state and national professional organizations including: the Bux-Mont Dental Society, the Delaware Volley Oral and Maxillofacial Surgery Society, the Pennsylvania Dental Association, the American Dental Association, and the American Association of Oral and Maxillofacial Surgeons. Dr. Guba has been recognized by his peers in Philadelphia Magazine as a Top Dentist from 2010 through 2017. 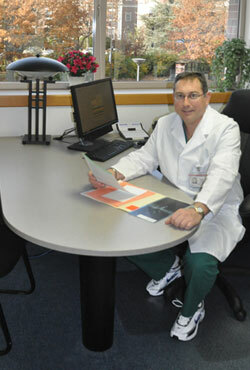 Dr. Guba is an active staff member at Abington Hospital, Jefferson Health and at Albert Einstein Medical Center. In addition, Dr. Guba holds teaching positions at both Abington Hospital, Jefferson Health, and Albert Einstein Medical Center. Dr. Guba also is a consultant to the trauma service at Abington Hospital, Jefferson Health. Dr. Guba is active in the community. He is a member of the Doylestown Masonic Lodge, the Allentown Consistory (320), and a Noble with the LuLu Shrine. Dr. Guba enjoys skiing and is pictured with his wife Marni at Mt. Snow, Vermont. Dr. Guba supports many charities including Make a Wish Foundation through the Mountain Dew Vertical Challenge ski races. His boys have both raced and been directly involved in fundraising for this charity.